Not only are windfarms getting larger in geographical terms – the Netherlands are planning to build the world’s largest offshore wind farm, along with a 2.3-square-mile artificial island to support it by 2027 – turbines are getting taller and blades are getting bigger because the larger the blade, the more energy they can capture at higher altitudes where wind flow is more consistent. The span of blade prototypes developed for the latest giant wind turbine project (manufactured by LM Wind Power) for example, were 88.4m – almost as long as two Olympic-sized swimming pools. A single turbine this size, standing 260m tall in an offshore, or indeed onshore location, has the potential to generate enough electricity to power 16,000 households. Current turbines cannot generate anything like that amount of power. The blades on giant turbines can reach speeds in excess of 200 miles per hour. This, combined with volatile climates and extreme locations where dust, water and extreme temperatures present significant O&M challenges, are becoming harder and harder to overcome as the demand for wind energy grows. By far the biggest challenge for these new generation turbines is containing erosion to the leading edge of the blade tips. This is caused by salt, extreme weather or sand and if left uncorrected leads to cracking, splitting and collapsing issues, resulting in energy losses of up to 5%. It has been reported that around 500 UK offshore wind turbines and 200 more off the Danish and German coasts need major blade edge repairs after only a few years at sea. Scaling these colossal structures manually using risky ropes or cranes to carry out general maintenance and repairs is expensive and extremely dangerous. Another major challenge is ice build-up. This is not limited to colder locations such as Canada or Siberia, as temperatures also drop significantly overnight in the arid deserts of the MENA region. Apart from causing operational issues, such as excess weight and drag, which can impact performance by up to 20% annually, ice build-ups also pose a serious safety hazard in the form of ice shedding. This has the potential to cause damage to the surrounding area and poses injury risks to onsite workers. So how can windfarm operators/proprietors cost effectively maximise the resistance of turbine blades to the elements? Furthermore, how can they extend the blades’ service life without compromising on operational safety in an industry historically renown for being dependant on Government subsidies? A possible solution could be to develop an industrial coating that reduces erosion and stops ice from forming in the first place. So far this has proved to be both technically challenging and not viable economically. 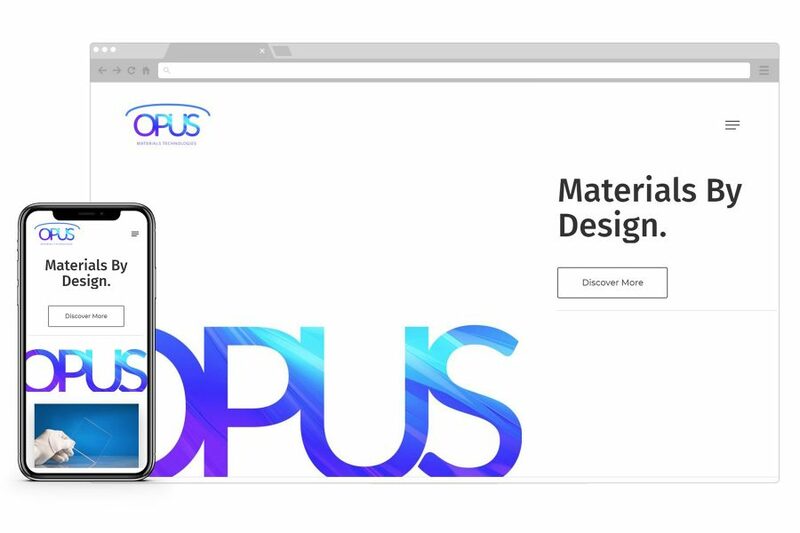 The situation could be about to change, however, thanks to a disruptive approach to industrial coatings manufacture, being pioneered by a consortium of companies, scientific researchers and academic institutions, including Opus Materials Technologies. 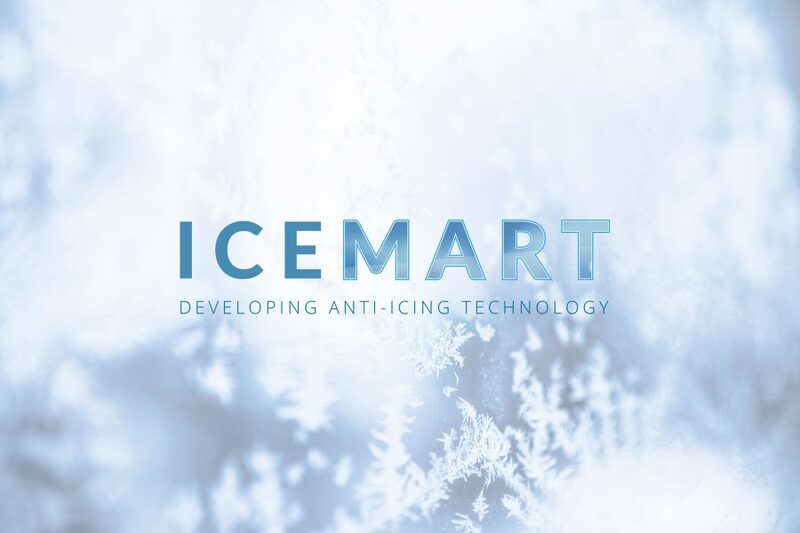 The consortium* is already close to 12 months in on a project developing an ice-repellent coating (ICEMART) based on a materials by design approach to prevent ice build-up in aviation. The same coating could potentially be adapted to address the operational and safety challenges specific to wind energy production. 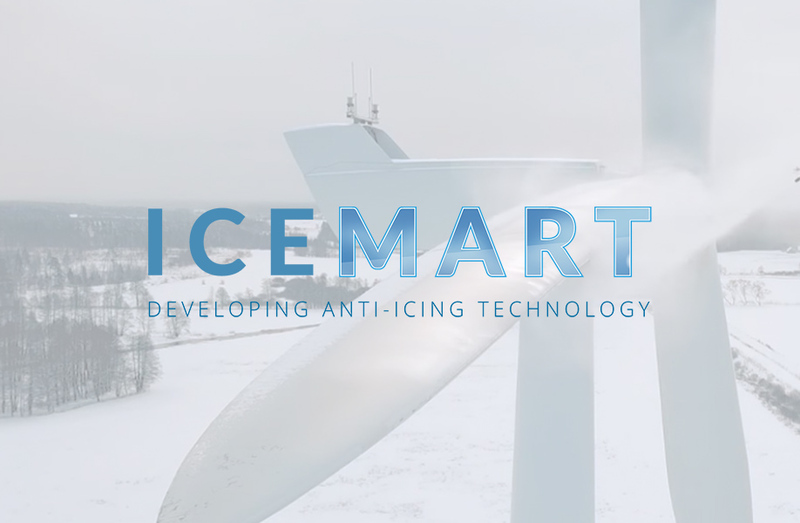 Not only does an industrial coating like ICEMART offer the potential to prevent damage caused by ice shedding, it can help streamline ongoing O&M by removing the need for laborious, expensive and dangerous maintenance and ice-management processes, resulting in more efficient energy production. * ICMART consortium members include Arctic (Advanced Resins & Coatings Technologies Innovation Centre) CAV Ice Protection, BAE Systems, GKN, TWI, PPG, and a supply chain capability in Promethean Particles.